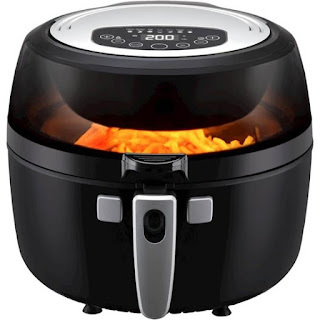 Emerald 6.5L Digital Air Fryer now under $50 today only! If an air fryer has been on your shopping list, then today is a great day to grab one! Best Buy has the Emerald 6.5L Digital Air Fryer on sale today on their Deal of the Day offers for $70 off. This thing rotates, do you know the convenience that comes with that. A removable stirring paddle does the work of keeping the food moving around for even cooking. Grab it now for $49.99 and get free shipping with your order! Want it faster? Choose Store Pickup for your convenience. Indycouponmama uses affiliate links that at no extra cost to you may provide a small commission when you purchase from them.